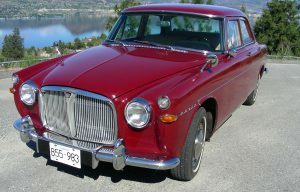 1965 3-litre Rover, the vehicle whose owner won the 2018 All British Run Whistler Grand Prize. 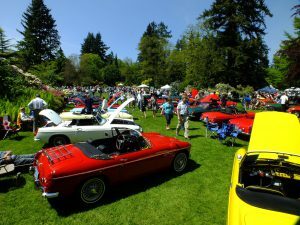 Each year, the Victoria Day May long weekend’s British car events consist of the Vancouver ABFM at VanDusen on the Saturday, followed by the All British Whistler Run on the Sunday. 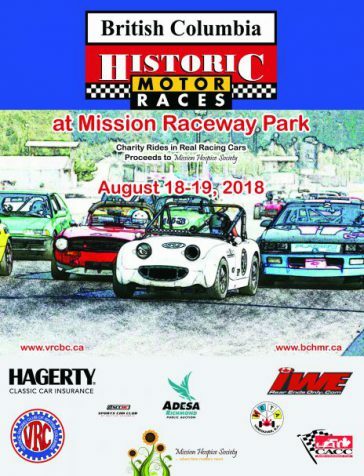 The Whistler Run is a timed event, with each car’s departure time from Park Royal shopping centre and arrival time in Whistler recorded by event organizers. 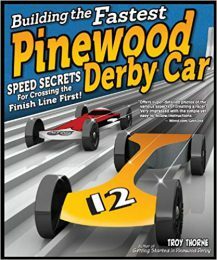 The organizers establish a “secret” Whistler arrival time, with a Grand Prize awarded to the driver whose arrival time is closest to that time. 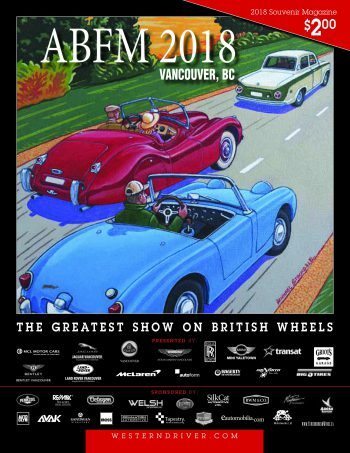 Once in Whistler, cars are displayed, with additional prizes and awards presented to vehicle owners. 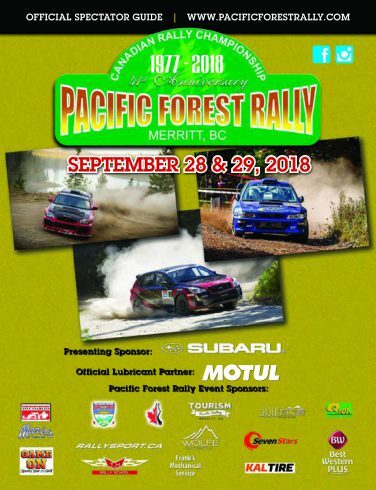 Since the secret time is not necessarily the fastest to arrive, nor in fact the slowest, drivers may go directly to Whistler, stop for lunch, or take time for photos or picnics. I have been on the run several times and assumed, as on previous runs, that our destination for 2018 was the Whistler Olympic Plaza. When I arrived at the Olympic Plaza, there were no British cars to be seen and the entrance was barricaded. Did I have the right place? Back to the highway. I drove back and forth around Olympic Park and saw no other entrance to the plaza. Then, I saw a TVR being guided away from the entry road. He, too, was lost. The person at the barricade said the venue was changed and we were to go to Creekside, 1.6 kilometres away. The TVR led the way, drove in and got his arrival time. I followed and was given my arrival time. When the prizes were given out, organizer Joan Stewart said that for the first time someone got the chosen time right to the minute and, to my surprise and shock, announced my name as the Grand Prize winner. 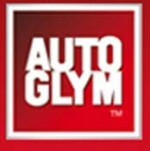 The Grand Prize was donated by Air North, one of the sponsors of the Vancouver ABFM. It was a return ticket for two from Vancouver to Whitehorse, YT. The prize stated the departure flight was from Vancouver International Airport. However, I checked the North Air web site and found they also serve Kelowna. As I live close to Kelowna, I phoned to see if my departure location could be altered and Air North agreed to make the change. Having never been to the Yukon, I’d not travelled North Air and found it to be an exceptional airline. Regular fares include two checked bags, carry on baggage and a light meal with beverages each way. David Gatrell and daughter Kimberley enjoy their trip to Whitehorse, courtesy of Air North and the Vancouver All-British Whistler Run. My daughter and I departed on a sunny, late-September day to spend a week in Whitehorse. I booked a modern, fully equipped Air B&B condo, located in the centre of Whitehorse within a 10 to 15-minute walk of everything in town and just a block from the Yukon River. While there, we made use of the paved walking/bike path on the bank of the river. The river is fast flowing, about 152 metres wide at Whitehorse and which runs more than 3,000 kilometres before arriving at the Bering Sea. In Yellowknife, we toured several museums and interpretive centres highlighting transportation, culture, history, the Klondike goldrush, and the Beringia land bridge between Siberia and Alaska during the ice age. To explore further, I rented a car for two days. A grizzly bear on the side of the Klondike Highway was so busy pulling up plant roots it didn’t seem to mind us stopping to take its picture (from a respectable distance and without leaving the car). We visited a 283-hectare wildlife preserve with diverse topography less than an hour north of Whitehorse. Very large enclosures house many local species, including animals adopted after being orphaned or injured in the wild. W e took a one-and-a-half hour guided tour around a portion of the property on a small bus. The passengers were off the bus 10 or 12 times during the tour and fortunately most animals cooperated by not hiding. Our guide was very knowledgeable and shared very interesting information regarding details of the animals’ care and progress. 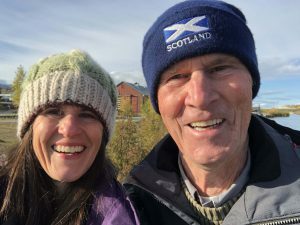 We stopped often on a drive south to explore Carcross, taking the walking tour (but in a car because it was cold) and with passport in hand continued to Skagway, Alaska. Two cruise ships were in the harbour. On the drive there, we counted 14 tour buses taking ship passengers inland to view mountains and lakes, but that still left plenty of tourist to fill the small town with shoppers. We found lunch at a pub a few blocks away from the main street where we ate the best fish and chips (halibut) I can remember. 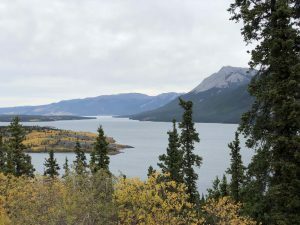 We didn’t venture further afield, but there certainly is more to explore in Yukon Territory. We found the people of Whitehorse very welcoming and there is great art to see and many good restaurants. Whitehorse had not been on my bucket list., but having now visited it should have been. Thank you to Air North for sponsoring the prize of two return airfares to Whitehorse for the 2018 All British Whistler Run. 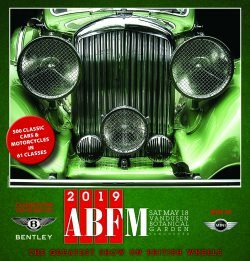 And thank you to Joan Stewart for not only organizing the ABFM at VanDusen and the All-British Run to Whistler, but for randomly picking a “secret” time that I achieved as a result of “getting lost” and haphazardly arriving in Whistler.